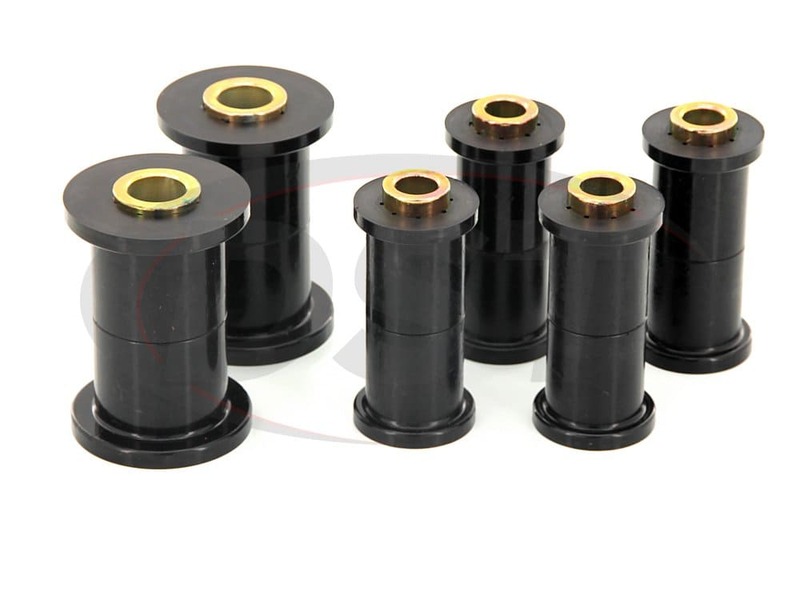 Vehicles with a leaf spring and shackle set up lean heavily on the springs to take the shock out of a bump. 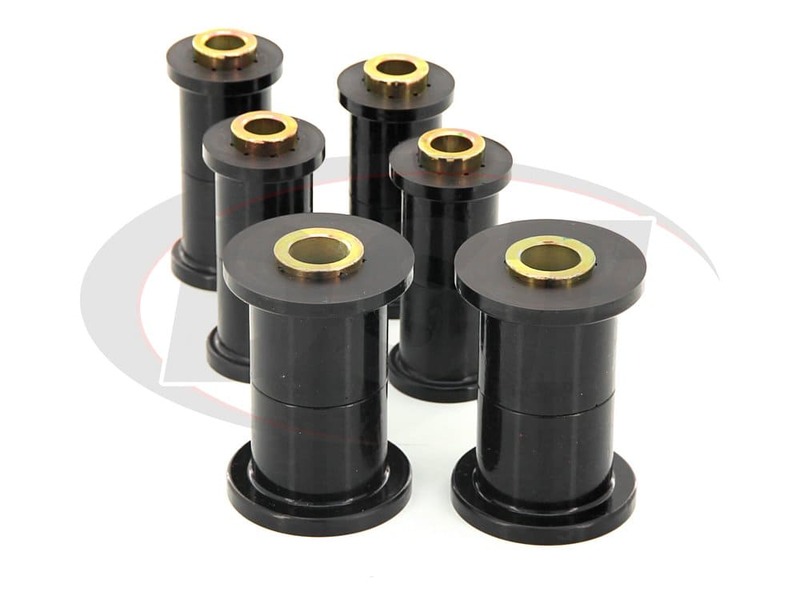 Not only does a leaf spring reduce the force of a bump that you feel, but it also evenly distributes the load across the chassis instead of the whole load pressing down on one point. 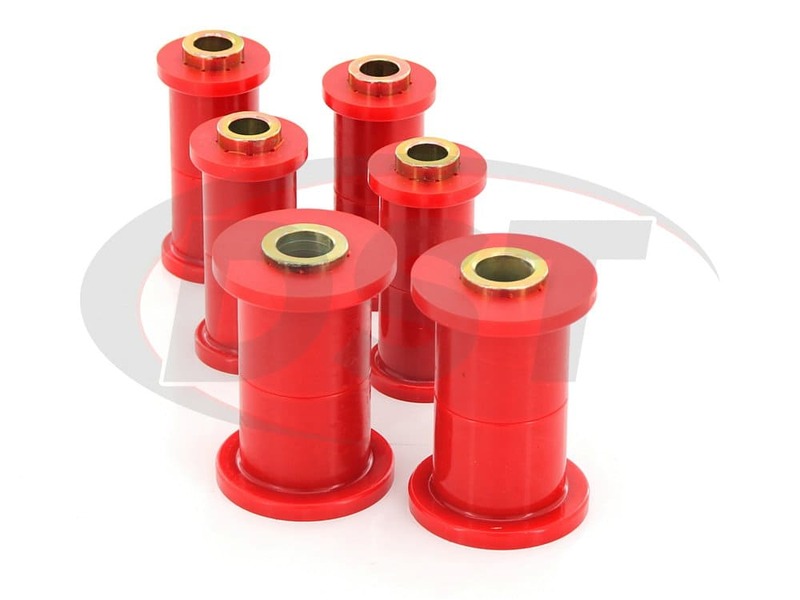 Your ability to get to point A to point B without scraping the pavement is heavily dependent on the leaf spring and shackle bushings which mount the spring to the frame. 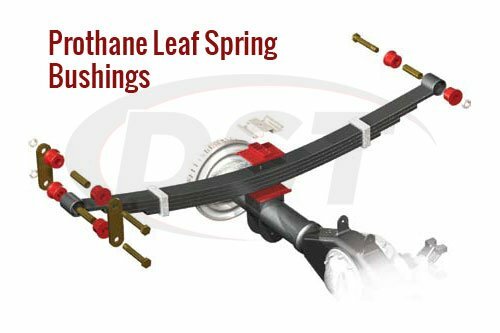 Prothane's polyurethane is a stronger material for the mounting points of a leaf spring and shackle. 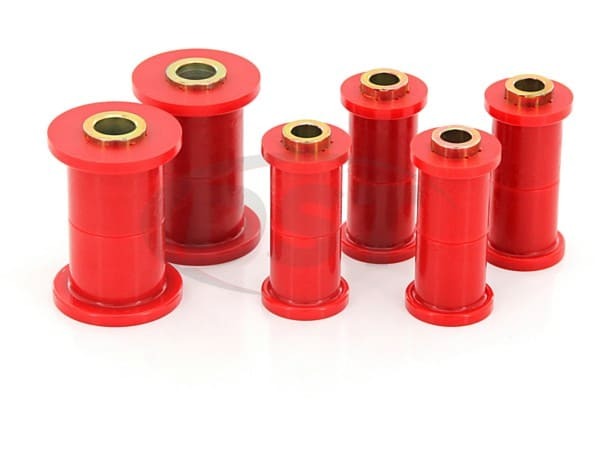 Polyurethane leaf spring bushings are able to handle the stress from the suspension and are not vulnerable to road grime. 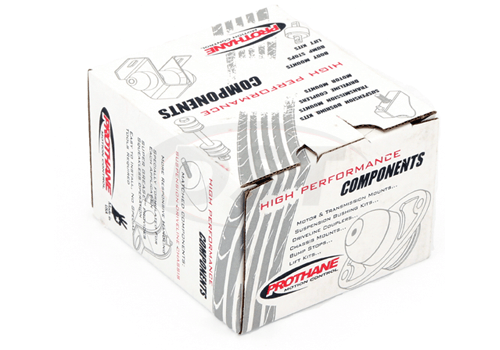 With Prothane's polyurethane, you can protect your vehicle's ability to carry a load, and your bumpy free ride, for years to come. 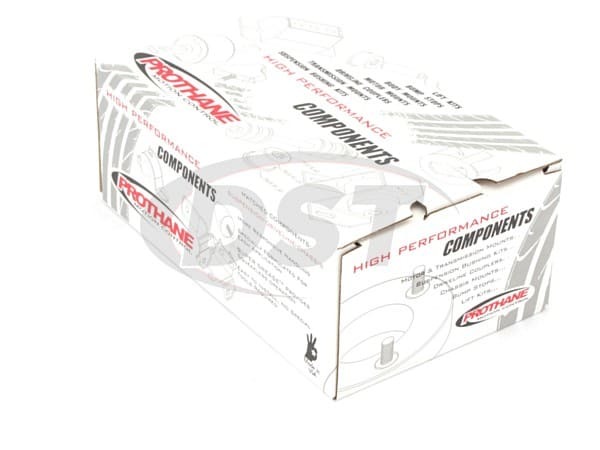 Leaf spring and shackle bushings handle a lot of stress from the vehicle load, so be sure to use the supplied Prothane's Super Grease to lubricate the bushings during installation. 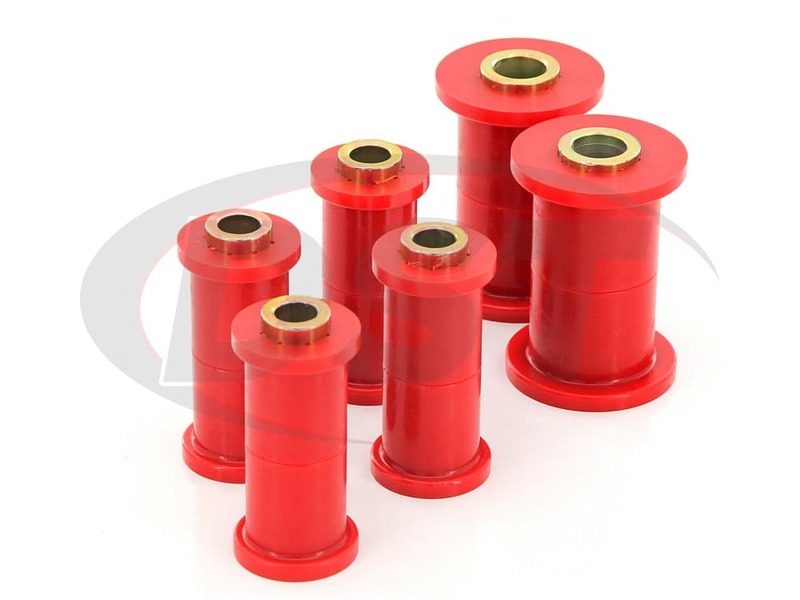 Its super important that you lubricate each bushing well to prevent any squeaking. If you'd like some extra grease just in case, pick up an extra 3 pack.